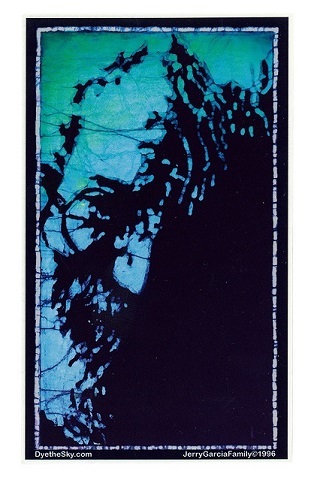 This Jerry Garcia sticker has a batik style image of him smiling. The approximate size is 3 1/2" x 5 1/4". Officially licensed Jerry Garcia merchandise.